Oh man, this website deserves its own post, so here goes. Ya’ll know I get excited when talking about supporting local, but this has gone to a whole new level! While working on a post about making your own broth, I stumbled upon EatWild.com. I meant to type U.S. Wellness Meats but had a brain freeze and typed Eat Wild. How was I to know I’d discover this little beauty? After my two posts on the local, grass-fed/pasture-raised meats I found here in Dallas, along with buying a cow & pig, I had several people ask where to find meats in their area (like Corpus Christi). See here for local produce. I honestly had no idea except to say check farmer’s markets or get their meat shipped. But now, there IS NO EXCUSE! 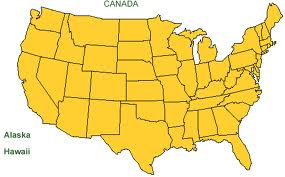 You can pick your state and see what area is closest to you. I found several new places close to me along with some close to my sis in Houston (who deliver), so she has no excuse to say it’s too far away or she doesn’t have time. Finding a place that delivers grass-fed meats to your door? You can’t beat that. Want to buy meat in smaller quantities, e.g., by the cut or served at a local restaurant? Each state page has its own Beyond the Farm link to local farmers markets, grocery stores and restaurants that sell grass-fed products. Look for it in the upper right hand corner of each state page. Can’t find what you want locally? See our list of Farms that Ship. Don’t have a freezer and looking to buy in smaller quantities? Follow the Beyond the Farm link on your state page for a list of farmers markets, stores, restaurants or buying clubs that feature grass-fed products. Organic? Many farms are organically certified; others lack certification but follow organic standards. Others meet the standards for Certified Humane or the American Grassfed Association, or follow kosher, halal, or other specific practices. Note: We do not have the resources for a third-party verification of the farmers’ claims. We recommend that you visit your supplier to make sure that the farm satisfies your own criteria. Need help understanding the labels: Cage-Free, Free-Range, Fair Trade, etc.? The Animal Welfare Approved organization has posted a comprehensive list: Food Labeling for Dummies. All-Grassfed Dairies: Milk from 100-percent grass-fed animals is much healthier than ordinary milk and deserves special attention. Visit our All-Grassfed Dairies page to find a list of these dairies and Jo Robinson’s essay on Super Healthy Milk. Let me know what you find. I’m hoping this will give you a resource to buy better meats, eggs, and dairy for your family, along with supporting local farmers who work hard to keep our food supply healthy.